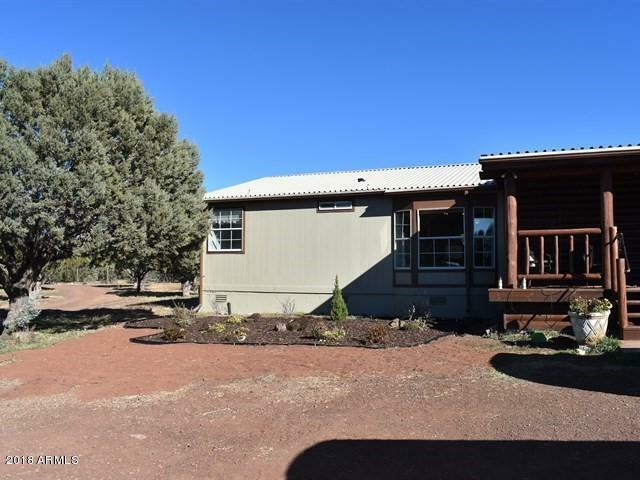 All Vernon homes currently listed for sale in Vernon as of 04/25/2019 are shown below. You can change the search criteria at any time by pressing the 'Change Search' button below. "Come get your share of the WOW-factor! This exemplary home is really 2 homes! 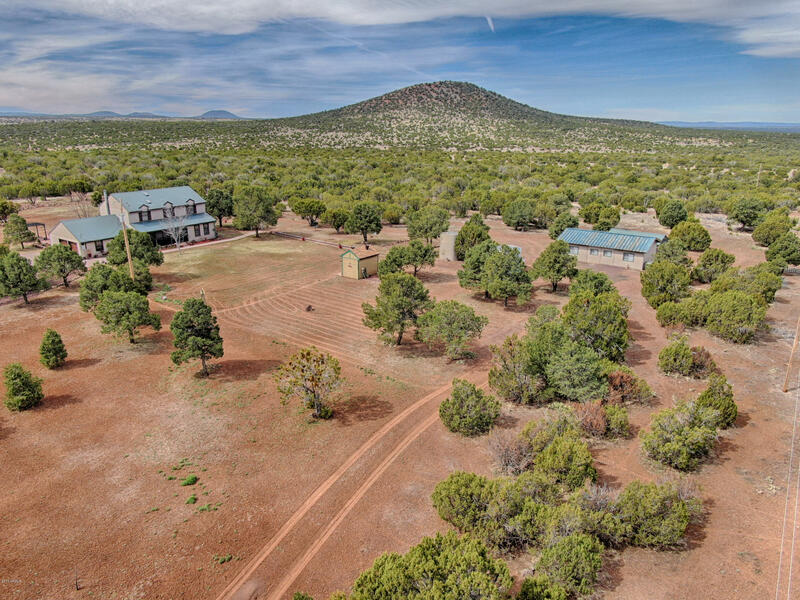 Lots of room for several horses and all set up with a barn and corral-this place has it all-to include direct access to state land just behind the home-so strategically placed so that every square inch of the property is enjoyed.Just imagine driving up your private paved road to your estate with a 3 BR,2.5 BA 2300 sq ft main home and large 1500+ guest home, w/2800 sq ft barn/garage and add'l 2 car garage on home. 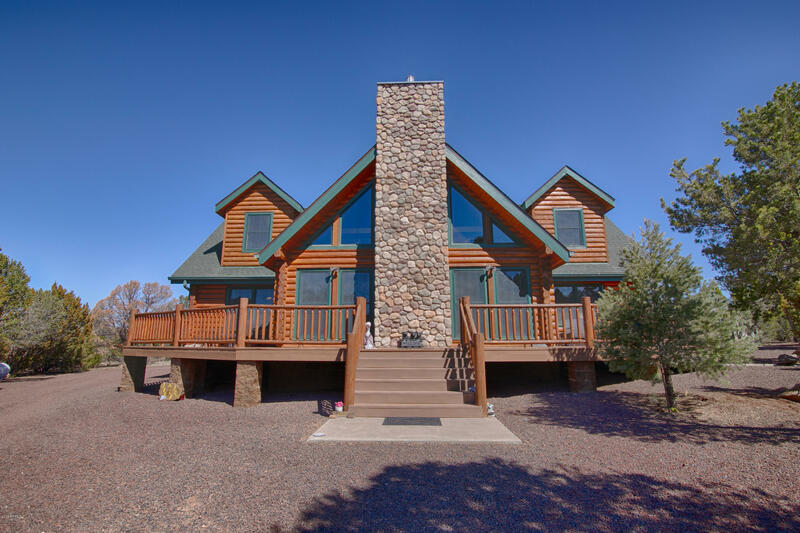 Main "
"Full Log EXQUISITE home on 2.5 acres. Easy access not far from Show Low. This 3 bedroom PLUS loft and 2.5 baths - plus an office area PLUS a bonus room over the garage has that open concept layout with vaulted ceilings & large windows and ceiling to floors stone gas fireplace. This cabin has a 3 car HEATED garage, plus 3 sheds, two have electricity and one is set up as a workshop. Lots of RV parking w/ one hookup. This home has only had one owner who takes extreme pride of ownership. The details"
"''ONE OF A KIND!'' UPGRADES GALORE! This amazing property will not disappoint! 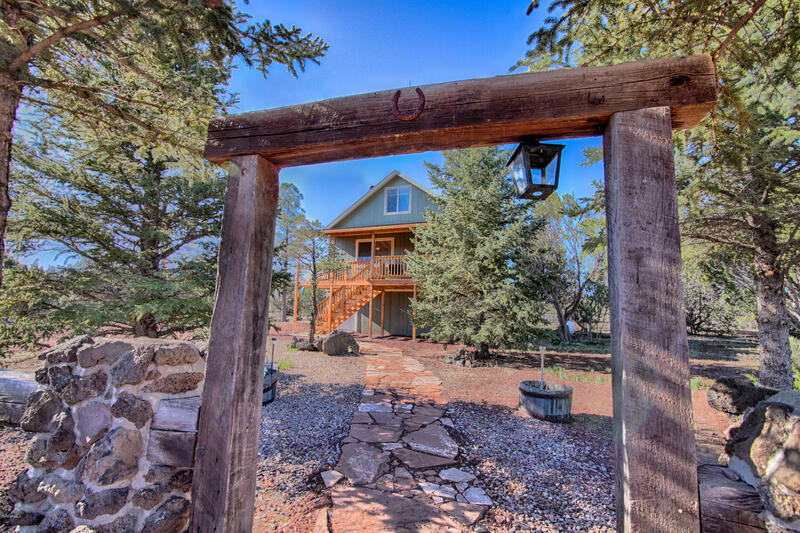 From the moment you arrive you will love the IMPECCABLE condition of the home inside and out! Shows pride of ownership. Your Buyer will be in love the moment they arrive. Interior boasts professional grade Thermador appliances including a commercial grade Thermador gas range with a Zephyr stainless steel hood & GORGEOUS GRANITE COUNTER TOPS & BACKSPLASH, Exterior offers no maintenance siding on home, & ALL OUT BUILDIN"
"Spectacular horse property tucked away on over 16 acres in Vernon. Home is 3-bedroom 2-bathroom split floor plan with open concept living room, kitchen, and great room. Recent updates include: flooring, interior and exterior paint, countertops, tile backsplash, hardware, light fixtures, and more. Master suite features plenty of closet space, dual vanities, garden tub and shower. Home office off laundry room. In addition to 4 box stalls with runs, feed room, equipment room, an abundance of storag"
"This home is unique, beautiful and ''round'' with large windows to enjoy the splendor of its location. Newly painted interior including all of the cabinets that have a dark brown gel stain. Concrete stamped floors with radiant in floor heating. Additionally there is a wood stove in the living room. From the master bedroom glass sliding doors opens to a patio where there is peace and tranquility and a perfect view of Strawberry mountain. For entertaining the patio wraps around the house and "
"A Rare Gem! Shows Pride Of Ownership! A lot of home for the $$$! Home has been remodeled inside and out. 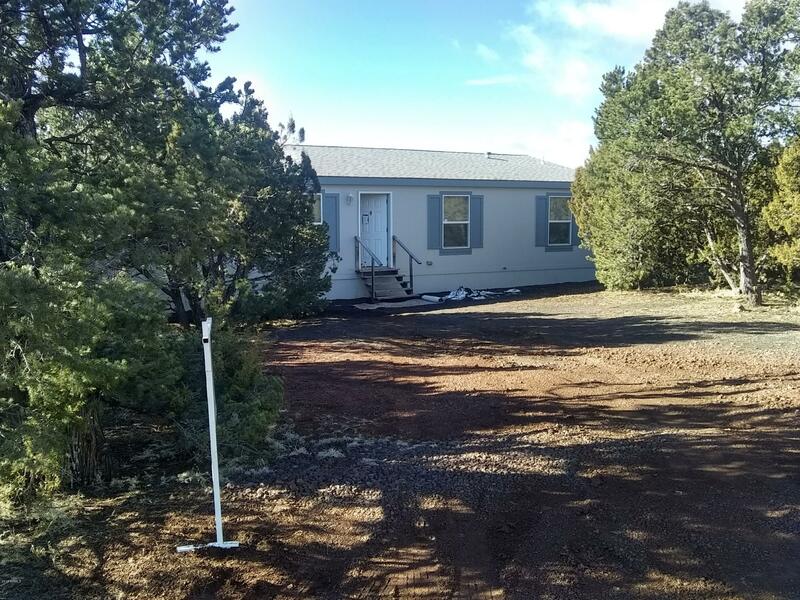 LESS THAN 2 YRS OLD: Roof, exterior & interior paint, all new windows, plumbing from the street to every faucet, updated electrical, Williams Furnace downstairs, partial new flooring ,new interior doors through out & jacuzzi tub/shower with tile surround in Master Bath . 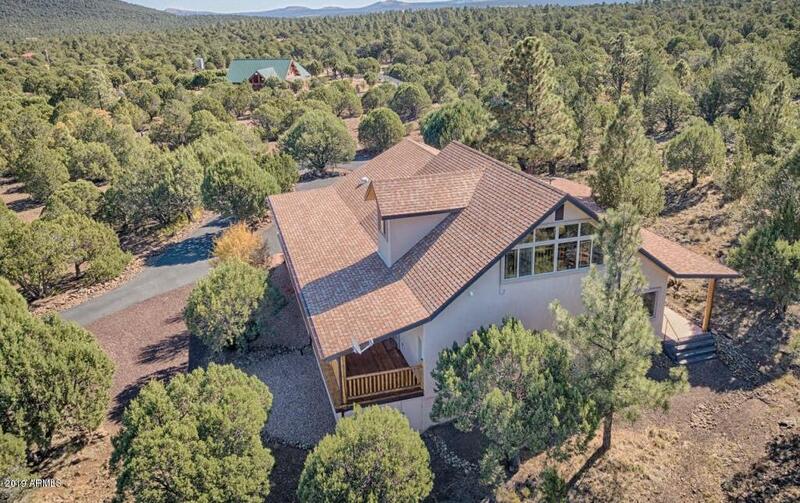 This beauty is nestled in the trees at the end of the CUL-DE-SAC with a large 60 acre parcel as your neighbor, fenced yard,"
"Make this house your home! 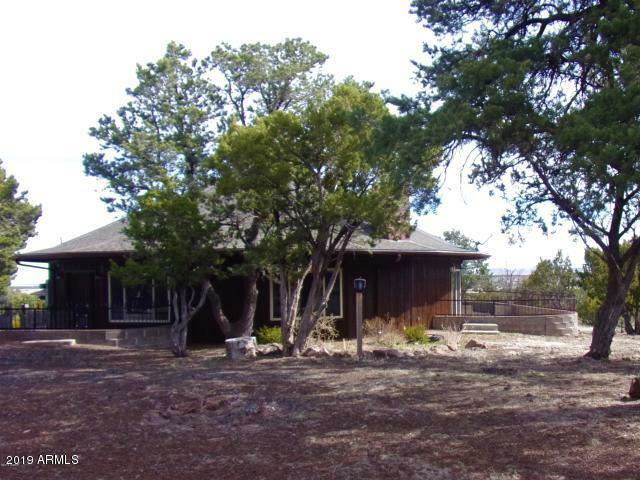 Situated on 1.37 acres, there is tons of potential! Step onto the large front deck to make your way into the entry. Pride of ownership is evident, crown molding and wainscoting throughout add elegance to the space. The laminate flooring through the home is both beautiful and durable. 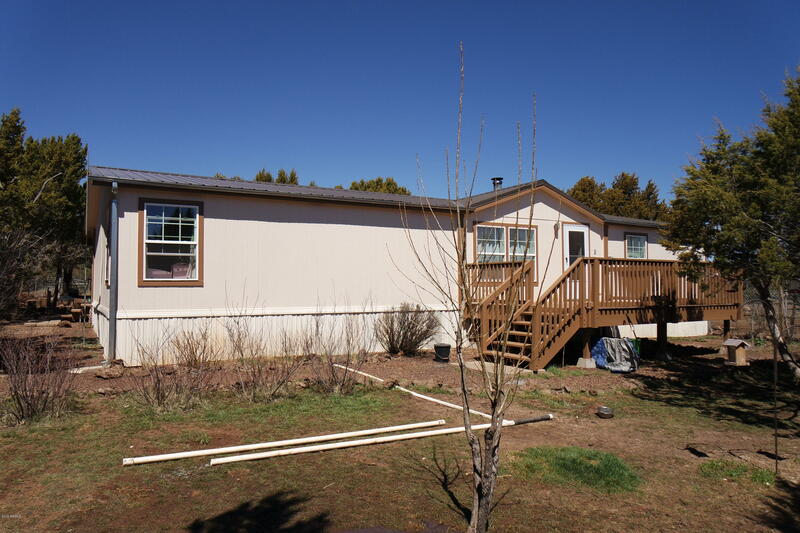 Recent updates include brand new windows, exterior paint, and a new metal roof! The master bedroom invites you to relax, which will certainly be easy with the large master tub! Two spaciou"